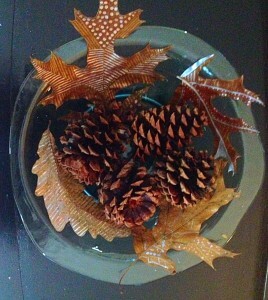 During the Fall we have an abundance of LEAVES. 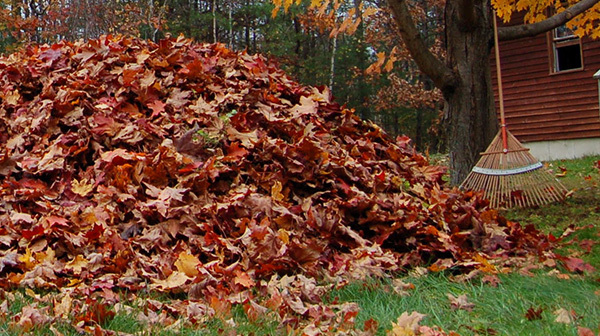 They are everywhere and I spend lots of time raking them and packing them into leaf bags for collection. 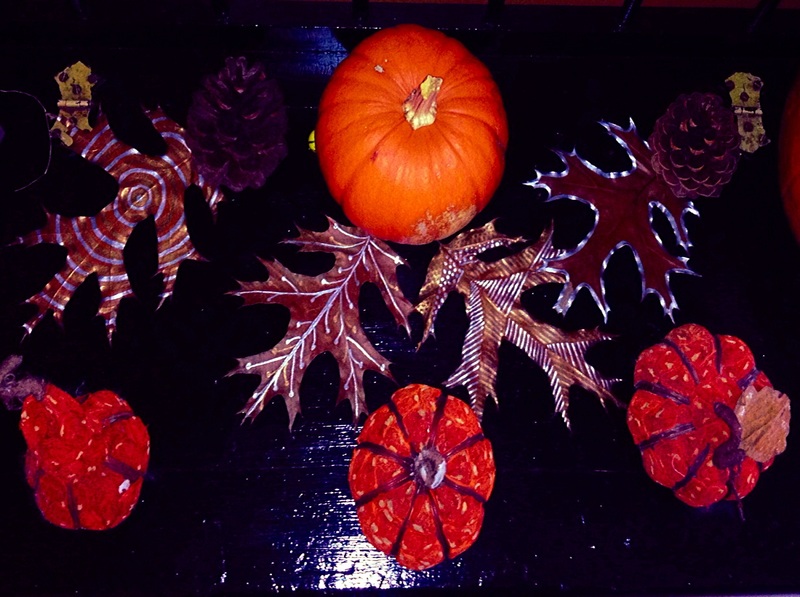 I found some really fun ways to put some of those leaves to good use. 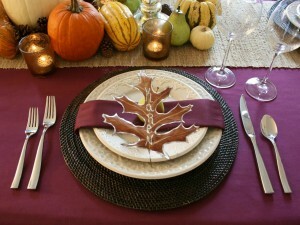 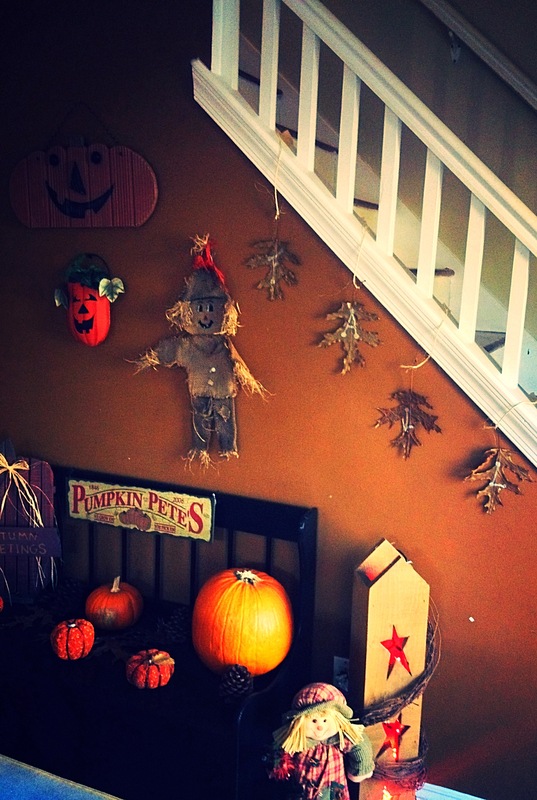 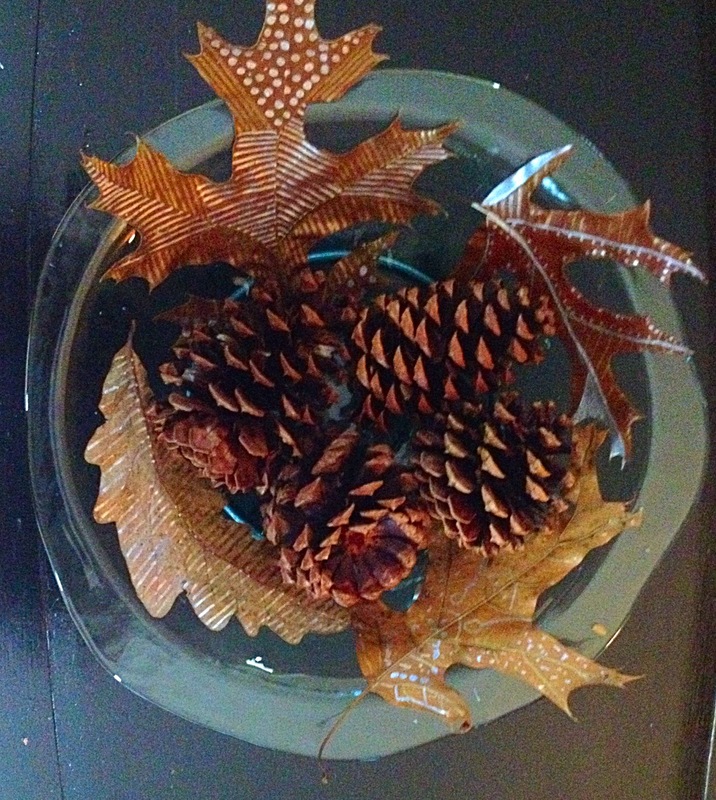 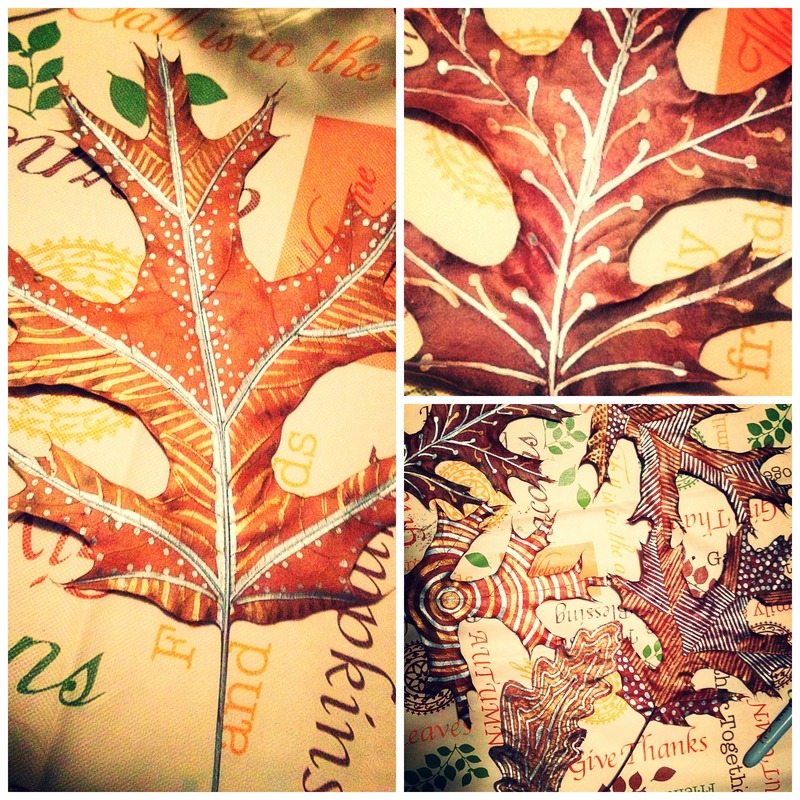 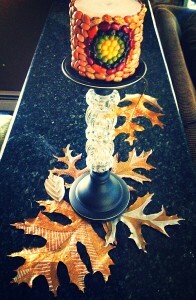 Fall leaves decorated can add some rustic charm to your homes decor. 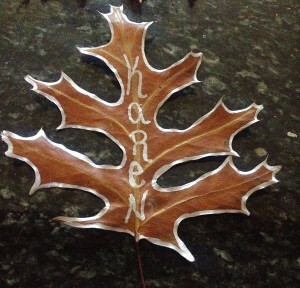 Even better this craft is so easy the kids can join in and have some fun creating their own fall leaf projects. 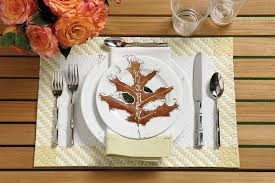 Select leaves from mother natures abundance. Try to find leaves that are dry, inside and out, and relatively flat. 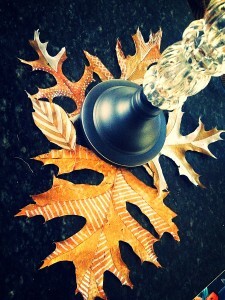 I like to place my leaves under a few heavy books for a day or two to flatten them out even more. 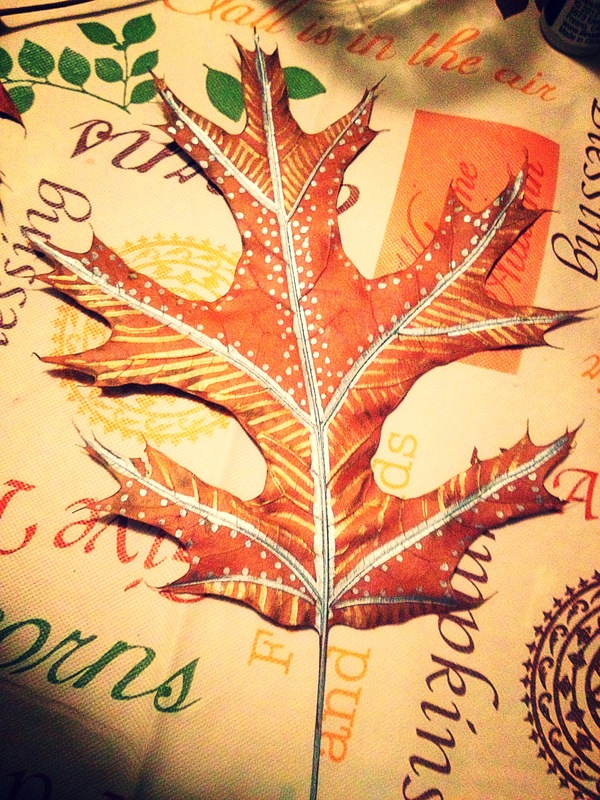 Once your leaves are decorated the possibles are only limited to your own imagination. 3. 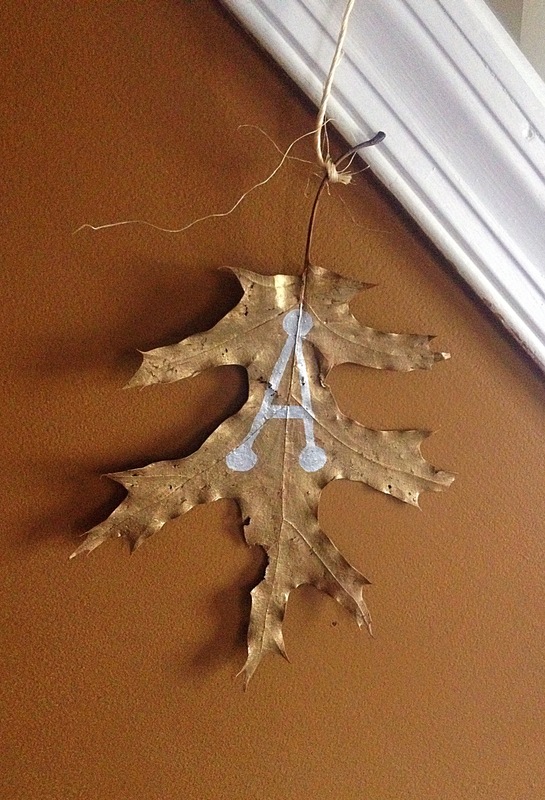 Use Raffia, Twin, or some rustic ribbon to hang your letters.